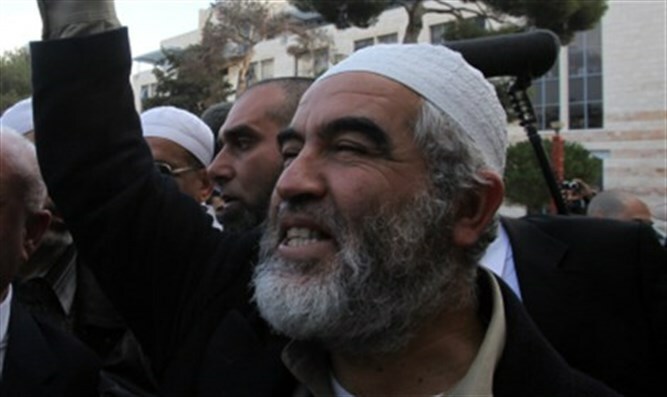 Raed Salah charged with incitement after praising murder of Druze policemen at the Temple Mount. An Israeli court on Thursday charged a firebrand Islamic cleric with incitement to terrorism in connection with deadly unrest at a Jerusalem holy site last month, the Justice Ministry said. It said that Arab Israeli Raed Salah was charged in Haifa magistrates’ court on a total of six counts, also including support for a banned organization. His group, the radical northern branch of the Islamic Movement in Israel,was outlawed in 2015 for incitement linked to the Temple Mount, the holiest site in Judaism. The statement alleged that he issued “expressions of praise, sympathy or encouragement for an act of terrorism” on various occasions. His statements were made against “a special security background” in the wake of a July 14 attack in which three Israeli Arabs from Salah’s hometown of Umm al-Fahm murdered two policemen after emerging from the Temple Mount in eastern Jerusalem. The Justice Ministry quoted the charge sheet as saying Salah’s statements were made at the Umm al-Fahm funeral of the assailants and in two sermons he delivered at Friday Muslim prayers in the town, in northern Israel.